This tote bag is constructed like a traditional luggage piece, but with the added functionality and attitude of a motorcycle bag. The standout patches celebrate the spirit of the open road, while the hook and loop fasteners securely attach the bag to your bike for worry-free transport. When the ride is over, throw it over your shoulder and it carries like a normal tote bag. Features multiple exterior pockets, webbed LIVE TO RIDE handles, and removable/adjustable webbed LIVE TO RIDE shoulder strap. 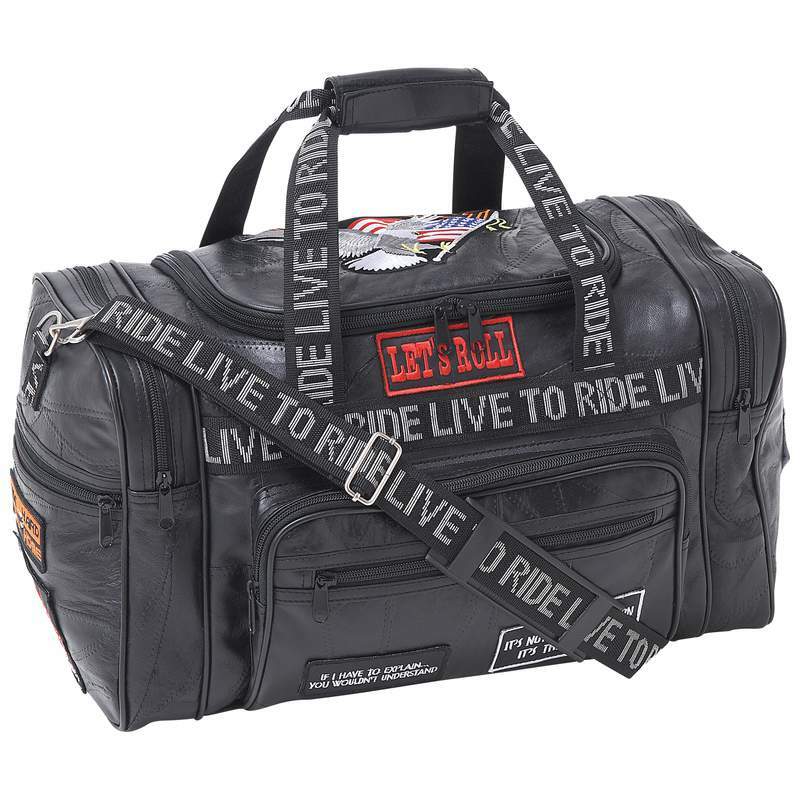 Live To Ride® brand embroidered cloth patches are included and already sewn in place. Measures 17" x 10" x 11".